One or more of my Alpha Cable Loks®, Spider Wraps®, or other Alpha 2 or 3 alarm system is sounding with a slow intermittent beep even when the system is disarmed. When this occurs, the Cable Lok®, Spider Wrap®, or other Alpha product is experiencing shortened or very low battery life. Batteries on these systems are not replaceable, so it is advised that the product be removed from service. Contact Loss Prevention Systems, Inc. for the replacement of your Alpha High Theft Solutions devices and products. All Alpha 2 and 3 alarm systems utilize an S3 key, which permits newer items to be compatible with your current system setup. LPSI (Loss Prevention Systems, Inc.) is a premier nationwide consultant and vendor in the United States for Alpha High Theft Products and Checkpoint Products. We have countrywide customers, resources, and services. LPSI offers more than retail loss prevention equipment. The knowledge in retail store shoplifting permits LPSI to deliver real life guidance and methods for loss prevention. 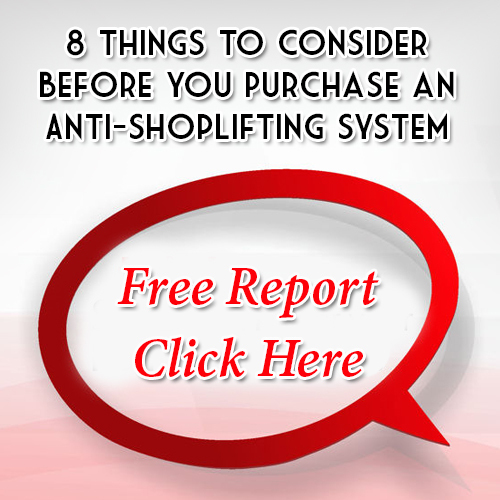 Stop shoplifting for good with Loss Prevention Systems (LPSI) and Checkpoint Systems solutions. To learn more about Alpha High Theft Solutions: 2 & 3 Alarm Products, contact us at 1(866)914-2567 and get the security help you are looking for.